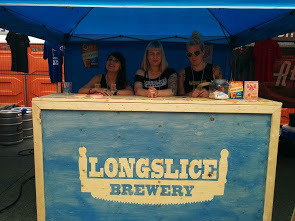 What’s in store for Longslice Brewery? The crew has come a long way but hope to go even further. 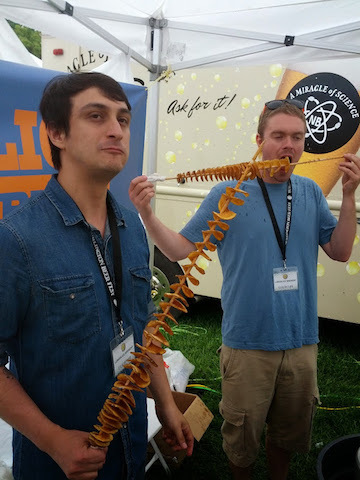 Since the brewery was founded, the guys have hit the ground running. The recipes, the brand, the brew and the promotion of their product has been quite the journey. 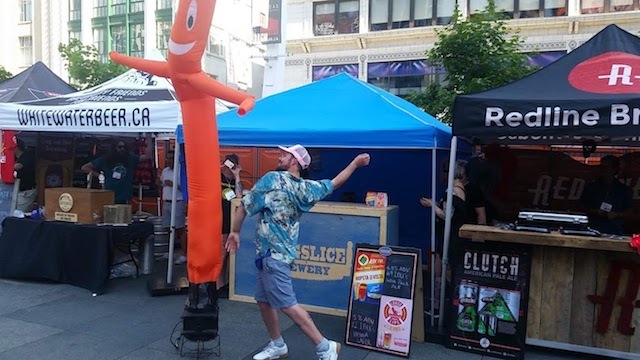 Hopsta La Vista was the first recipe to launch Longslice into the craft beer scene. It has won awards and earned valuable recognition in the beer drinking community. The stylish, bold, colourful design is eye-catching. The mix of malts and hops makes this brew abundant in flavour and aroma. It was a hit. 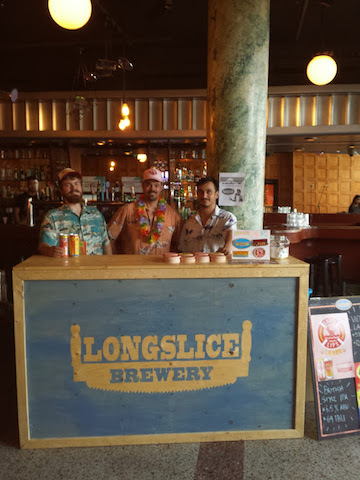 As the crew promoted Hopsta La Vista in the city and around the area, John was perfecting his own recipe for a sessional lager that would balance the Longslice portfolio. He wanted the lager to be unlike other ones you might find. He wanted a recipe with a bolder flavour, deeper colour and a beverage that goes down easy. 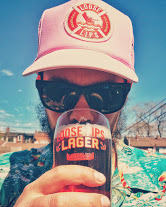 So it was, John created a Vienna Lager recipe that would showcase his favourite malt calling it: Loose Lips Lager. 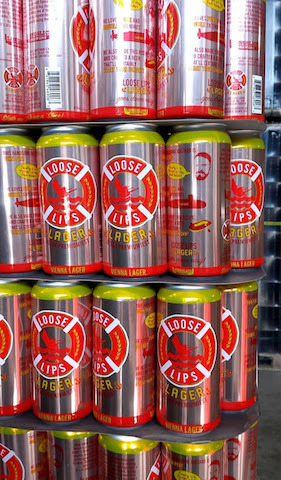 What makes Loose Lips such a special lager is the Vienna malt that is typically kilned at a higher temperature. This process makes for a copper colour and that unique biscuit flavour. The technique was first created when Austrian brewers visited England in the 1800s and learned various malting techniques. They brought the techniques back to Austria and, combined with the bottom-fermenting yeast process, created a hybrid-style of lager. This style of beer declined in Europe during the 1900s, but surprisingly was alive and well in Mexico. 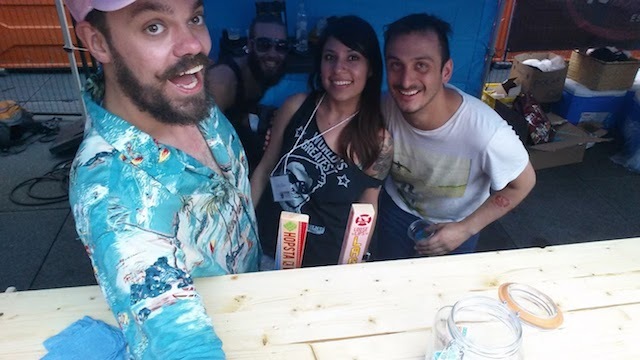 Some Austrian migrant brewers brought the Vienna Lager with them to Mexico in the late 1800s and it’s been around ever since. Today, the general interest in different beer styles has helped the Vienna Lager make a comeback. All thanks to the craft beer movement. This year, both recipes earned recognition in their respective categories at the Ontario Brewing Awards. Hopsta La Vista won Gold in the British India Pale Ale category and Loose Lips Lager won Silver in the Oktoberfest / Marzen category. A great way to start off the outdoor beer-drinking season filled with festivals and events. All this from the beginning until the now. The brewery has evolved and so has the crew. The plan is to, one day, have their own brewing facility. That would be the main goal for the next few years. The crew would also like to add a couple more core brands, then focus on seasonal brews and special releases. As for the overall goal, Jimmy says it's important to create a real sense of community around Longslice Brewery. We all know, as craft beer drinkers and those who appreciate quality, it’s all about community. More to come in the future, but those stories are yet to be told. Hasta then, city dwellers!